Private websites (intranet) for your business (or whoever you allow in) are useful for sharing internal company information within your business - things you wouldn't want the general public to see such as your client list, staff contact details or sales leads etc. At CapacityWeb, we can build a website to your design or can come up with a creative idea for you. You may want a website to fit in with an existing corporate brand. At Capacity Business Systems we can design, build, host and update anything from a simple one-page site to a multi-department database-driven business system at the most competitive prices around. Our best-selling SGW (Self-Generating Websites) have been featured on BBC Radio for providing high quality websites to small businesses at low cost during the credit crunch. This offers a unique combination of NO design or set up fees and then a flat weekly fee of £6 + VAT per week with no minimum contract. These sites are individually professionally designed (not from templates), have as many pages as you like and the price even includes hosting and a Content Management System so you can easily keep it up to date without any special knowledge or software (and that also means you don't have to pay anyone to make changes to your website!). There's also a powerful online shop to go with it for an extra £6 + VAT per week. For larger businesses or if you have specific needs, Capacity Business Systems can produce a powerful database-driven website to your specifications. 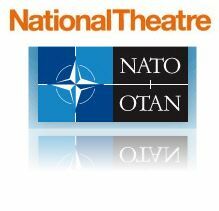 Our client list includes the Royal National Theatre and NATO. Website hosting is relatively cheap to find these days with several large hosting companies offering options at competitive prices. 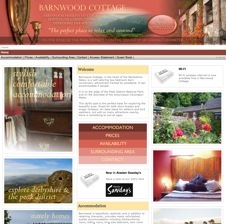 You will find it reassuring to know that our websites include hosting at no extra cost. We use reliable, fast, high-bandwidth servers but there are many options if you want to upgrade for extra performance, for example to your own dedicated server all at competitive prices. A standard email address, like you@yourcompany.co.uk costs £25 per year. This can be used and accessed anywhere through a web browser or will integrate seamlessly with Microsoft Outlook or Windows Mail. Advanced options are also available such as a full Microsoft Exchange mailbox. If you have a good product or service for sale you will most likely want to sell it to the largest market possible. With your products online, and able to take money safely and securely from your customers, you can enter a new level in the success of your business. Capacity Business Systems has developed its own powerful online shop facility which integrates seamlessly with your website to give a highly professional look to your online presence. In practice, this works much like the online shops of many large high street chains where the customer can 'drill down' through your catalogue to find what they want. You can have as many products on sale as you want and money is taken securely from customers' debit and credit cards (via Paypal). Even if you don't want to sell online it is a useful way to display and organize your products. This costs an extra £6 + VAT per week on top of your website which is usually £6 + VAT per week. Now an industry in itself, promoting your website and getting to the top of Google is an increasingly essential part of having a successful online presence. SEO can be an open-ended process and the amount of work required can vary from nothing at all (just a well designed website) to virtually a full-time job. There are over 200 factors taken into account when Google ranks websites for its search engines but by far the most important is getting links into your site from other, preferably high ranking websites, with the correct anchor text. Unfortunately, the only way to do this is time consuming hard work, however we have advanced, powerful software which means we can build more useful links in the time available. WARNING! Be wary of companies offering a 'Guaranteed Top 3 Spot' on Google - all they usually do is overcharge you for using Google AdWords. That means they do almost nothing, charge you a lot, don't help your 'organic' listings and the results last only as long as you keep paying. We do it the proper way, targeting the organic listings with ethical link-building which take time to build up but then last much, much longer if not permanently. Register your domain name at competitive prices. All you need to do is think of a name, we do the rest. Free domain hosting with all registrations. Have you ever dreamed of having all your office and commercial processes streamlined into one system and the massive increase in efficiency that would bring? Accouning Systems, Order Processing, Customer Relationship Management, Asset Management, HR Systems, High Quality Website: they are all Database Systems. They all hold relatively large amounts of data that makes sense when it is properly and efficiently organised. Whether you are aware of it or not, your business probably holds a lot of information in one form or another, which if properly ordered and available could take you to a new level of efficiency or identify new commercial ventures and revenue streams. For more information, see our specialist Database Developers website. Whether you are an IT professional with a full specification of what is required or you know nothing about technology and just have a vague idea that you struggle to get your information organised, we can help. Or you may have an idea for a commercial venture but not know how to put it into practice? Again, we can help. We can help with anything from an initial fact-finding assessment to full development and hosting of a finished system.